This page will walk you through how to use the Google Keyword Tool for Local SEO. If you’d like to take the full Google Maps & Google Reviews eCourse – (for FREE) then click here and sign up. We live in a time where our most notable and relied on resource is the internet. For this reason alone, having a strong online presence is an essential key to building and maintaining success. Most consumers depend on their computers and smartphones to access local business information. This information covers services provided, location, contact information, customer reviews, and more. 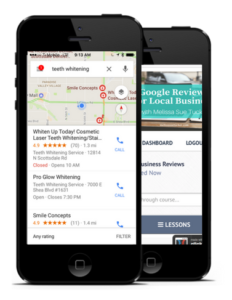 A sure-fire way to extend your reach and visibility is to get your business listed on Google Maps. Once verified on Google Maps, there is some necessary footwork to ensure your findability. This is where keyword research and adding keywords to your business name on Google comes into play. It may sound a little advanced, but I promise you it’s very simple and I’ll show you how it’s done! Below is a short tutorial I’ve created about keyword research and utilizing this tool to help customers find your business. I’ll help guide you through the 5 easy steps listed below the video to help you follow along. In this video, you’ll learn how to find the best keyword(s) to use in your business name on Google Maps. We will also discuss checking the competition for your potential keywords. 1) First, you’ll want to start out by being logged into your AdWords account for Google to access the Keyword Planner. (This tool is completely free, and you will not need to enter any payment information to utilize it). 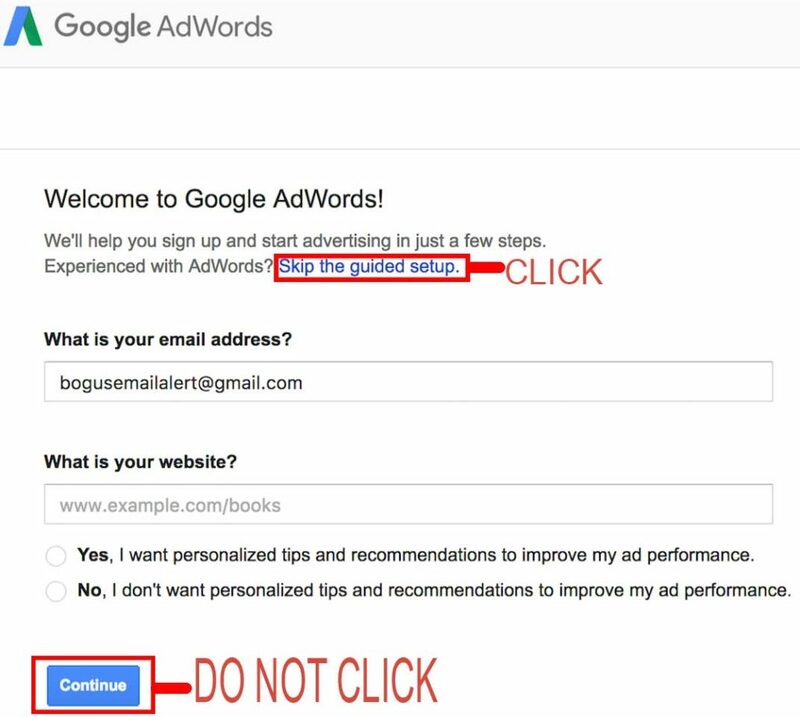 *Click on the blue text under the headline “Welcome to Google AdWords” that says Skip the guided setup. This will bypass any need to set up an ad campaign or enter payment information prior to accessing Keyword Planner. If you’ve already clicked Continue, you won’t be able to access Keyword Planner until you’ve added your billing information. In this case, you will have to create/use a different Google account to bypass these requests. 2) Once you are logged in on Google AdWords, go to the navigation bar and click the tab labeled Tools. From here, click on the option Keyword Planner. Think about some of the products or services you specialize in that someone might be searching for. You can use these brainstorming ideas as potential keywords. In the section that says “Targeting,” be sure to target your city or local area and that the language is correct. 4) Now click the blue Get Ideas button to proceed and see the results based off of your search. On this next page, make sure that you are under the Find Keywords tab and that you are viewing results in this section under Keyword Ideas. Here you can see the monthly data for each keyword and which ones get searched more often than others. 5) The last step after you find your keyword is making sure that there aren’t too many other businesses using that same keyword in their business name on Google Maps. If a potential client doesn’t know about you yet, then them searching a keyword based off of a service/product you offer can help them find you. If you type your keyword into Google’s search engine, the results will show sponsored ads at the top. Next, you’ll see a Google map image with three local businesses that come up for that specific keyword. You can click on “More Places” to see what other local places come up under this keyword as well. Adding a keyword into your business name on Google Maps can help your business get found for your niche or specialty. 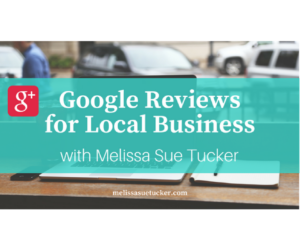 If this video and post helped you and you’d like to learn more about promoting and driving more traffic to your business, please check out my eCourse Google Reviews for Local Business. It is a short and easy to follow online lesson plan that is very useful for any business owner. You will learn how to list your business on Google Maps, authenticate your website, create your Google 5-star review link, and more.